Digital disruption in the water utily value chain part 2: Big data and fast data, where to start? While big data has received significant attention in recent years, most water utilities are lacking the proper software and know-how to build methodologies to analyse big data in an efficient way. Also the need for speed is sometimes overlooked. Water utilities are increasingly requiring near real time data to effectively and efficiently execute water management. Fast Data Strategy is a disciplined approach to the use of agile, real-time, self-service data technologies to deliver data quickly to users to effect faster outcomes. With the particular emphasis on drinking water supply, Karel will address the challenges and opportunities of Big Data in water technology. Karel. 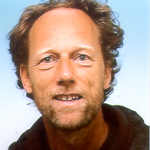 J. Keesman is Personal Professor “Systems Theory for Sustainability” at Wageningen University. He received his Ph.D. degree for his work on set-membership identification and prediction of ill-defined systems, with application to a water quality system, University of Twente, in 1989. His main research interests focus on identification, modelling and control of uncertain dynamic systems, such as bioreactors, food storage facilities, and on biobased socio-economic/environmental systems within the Water-Energy-Material nexus with either small or big data sets. He published more than 200 papers in international journals and refereed proceedings. Title: Collaborative and autonomous intelligence towards water predictive management. Gabriel Anzaldi holds an extensive and multidisciplinary experience (more than 30 years) along Digital Technology life cycle. 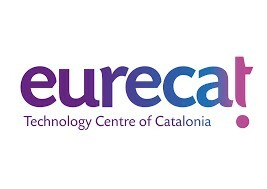 It includes system development, strategy, innovation planning, scouting and business models along different sectors (public, private), both regionally and internationally, holding different positions such as Design Engineer; Project Manager; Researcher; Presales Engineer; Technical Director; R&D Director; CTO, Coach and collaborating with entrepreneurs, SMEs and large companies. 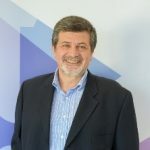 He is currently Director of EURECAT’s Smart Management Systems Unit, focused in the design and deployment of intelligent management tools, interoperable platforms, open data environments and knowledge management solutions specially implemented to share the water domain knowledge between multi-level stakeholders. In particular, they are highly specialized in Water supply and sanitation networks covering several water management related domains. For instance: application of new technologies (Bid Data Analytics, IoT, Artificial Intelligence, Machine Learning, etc.) to early warning and decision support tools; modelling and development of distributed water governance and management frameworks; water consumption; final user engagement; water user awareness; etc., highlighting his collaborating in with relevant water stakeholders. For the past five years, Mr. Anzaldi has been collaborating and Co-Leading the ICT4WATER cluster prompted by EASME and EC DG Connect. Currently more than 30 EU funded projects have joined this cluster, bringing together over 400 institutions and companies. The ICT4WATER cluster is a hub for innovative activities related to Digital technologies and services as enablers for Water Management. As EC external Expert, has published the “Action Plan to Digital Single Market for Water services” covering an strategy set of actions and activities from the present till 2030. The action plan proposes concrete actions relating to R&D and possible regulation in the area of ICT and water; enhencing emerging water issues (current and future trends) in terms of data sharing, interoperability, standardization, smart data, cybersecurity, water awaeness, policy and bussines plans. Membership of professional bodies: Open Geospatial Consortium (OGC®), Water Supply and Sanitation Technology Platform (WssTP), Board of the ICT4Water (Digital Agenda for Europe), Big Data Value Association (BDVA), Alliance for internet of things (AIOTI).